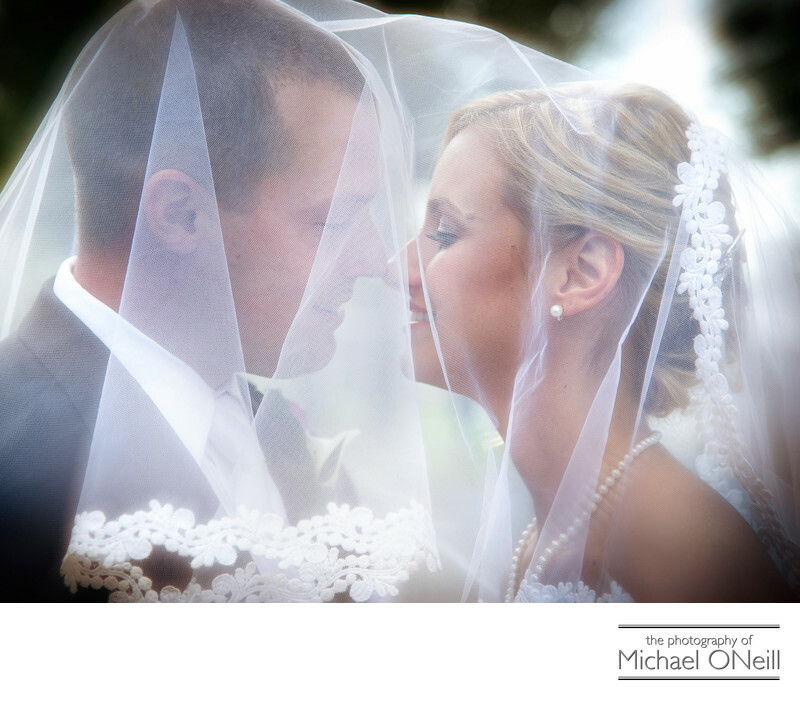 This casual, intimate portrait of a bride and groom was taken in my home town of Northport, New York. The village park at Northport Harbor is a popular photography destination for many brides that grew up in, or near, this quaint little waterfront community. We started our day at the bride’s parent’s home capturing all of the activity as the bride and her bridesmaids got dressed and prepared for the day ahead. Then it was on to St. Philip Neri RC Church for the nuptial mass. You should have seen the look on the groom’s face as the bride came up the aisle with her father in her stunning wedding dress. After church came the photo session at the park and then it was on to the wedding reception at The Carltun at Eisenhower Park in East Meadow, NY. one of Nassau County’s most elegant catering venues.